Plunge into Dark Tales: Edgar Allan Poe’s The Gold Bug and get ready for a wild ride as you race toward the lost treasure of Captain Kidd. But you're not the only ones seeking the renown pirate's booty. You soon discover your every move is tracked by a dangerous masked man and a mysterious woman. Can you muster up your courage and follow the clues in order to foil this criminal's plan and get to the treasure first? Find out in Dark Tales: Edgar Allan Poe's The Gold Bug. Do you have a Kindle? My mom gave me one a couple of years ago and, considering I am probably the biggest literature buff/cheapskate on the planet, I filled it with hundreds of classic books from Project Gutenberg. Jane Austen, Daniel Defoe, Jonathan Swift and, yes, the great Poe. All in the public domain; all incredibly wonderful. Maybe I’m being a little unfair to myself and my thrifty ways. I guess I have a problem paying $15.99 for a new hardcover from Amazon, but $14.99 for the Kindle edition. Explain to me how an electronic version that requires no paper, printing, ink or shipping only rates a one buck discount. 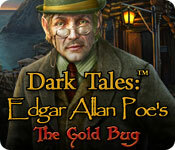 That being said, Dark Tales: Edgar Allan Poe’s The Gold Bug is an enjoyable foray into gaming that bears just a nodding acquaintance with Poe’s famous storyline. 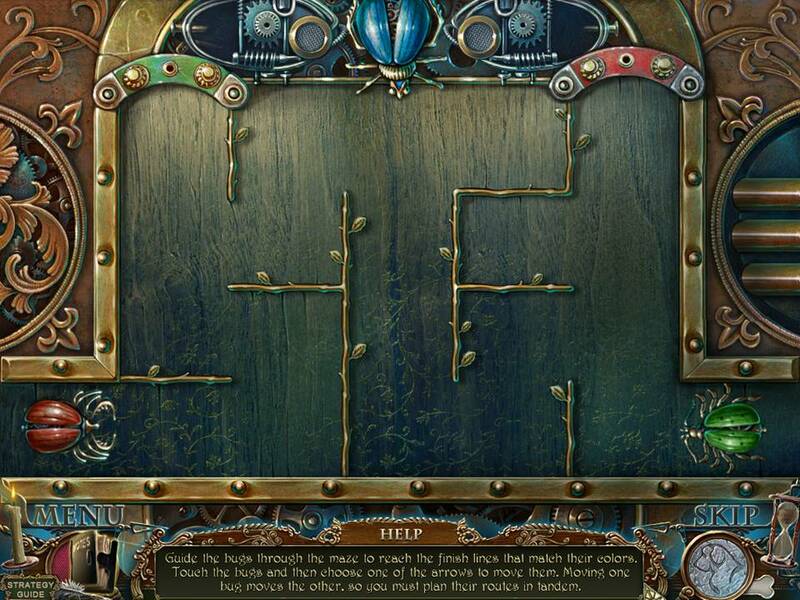 The premise is similar, but after that, the game developers sort of go in their own direction. In this version, you act as a companion to Detective Dupin (one of Poe’s recurring characters who doesn’t actually appear in The Gold Bug). Dupin is summoned to the seashore to help his friend, William LeGrand, discover the exact location of a treasure lost hundreds of years ago. But LeGrand isn't the only one with designs on the pirate booty... A masked villain tries to make off with the code, and a mysterious woman in a veil seems to be connected. In the actual story, LeGrand, who is a friend of the unnamed narrator, becomes obsessed with searching for treasure after being bitten by a scarab-like bug thought to be made of pure gold. LeGrand asks his friend to visit him at his home on Sullivan’s Island in South Carolina. Upon arriving, the friend-narrator learns that LeGrand hopes he’ll join him on a search for lost treasure. The narrator has intense doubts about this adventure and questions whether LeGrand (who has recently lost his fortune) has gone insane. One of the noteworthy aspects of The Gold Bug is its use and popularization of cryptography. In the 19th Century, cryptography was mysterious and those able to break codes were considered gifted with nearly supernatural ability. Dark Tales: Edgar Allan Poe’s The Gold Bug makes use of the cryptography angle of the Poe story, but really doesn’t observe much else in terms of the storyline. 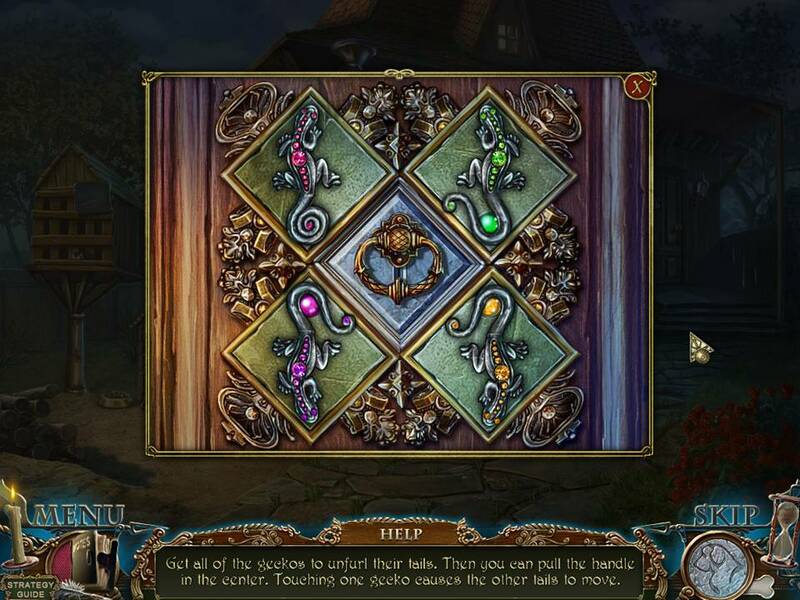 The game is a little light on Hidden Object Areas and the mini-games aren’t too terribly challenging. 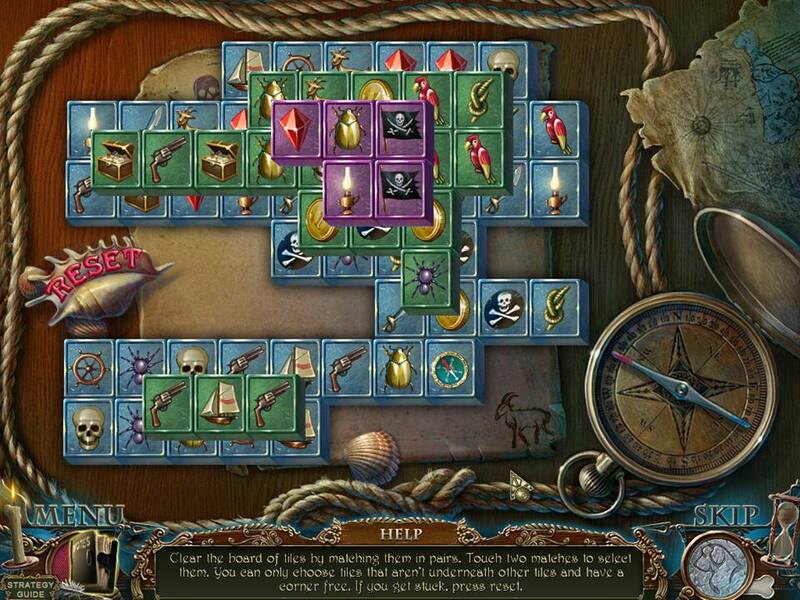 The pirate and Gold Bug-themed Mah-jongg was a fun little trifle and the puzzle in which you move bugs through a labyrthine maze to switch their positions was good for a few giggles. The use of a Newfoundland sidekick to sniff out clues struck me as a little superfluous. I mean, how many creatures need to be involved in this thing? You, LeGrand, Dupin AND a dog? 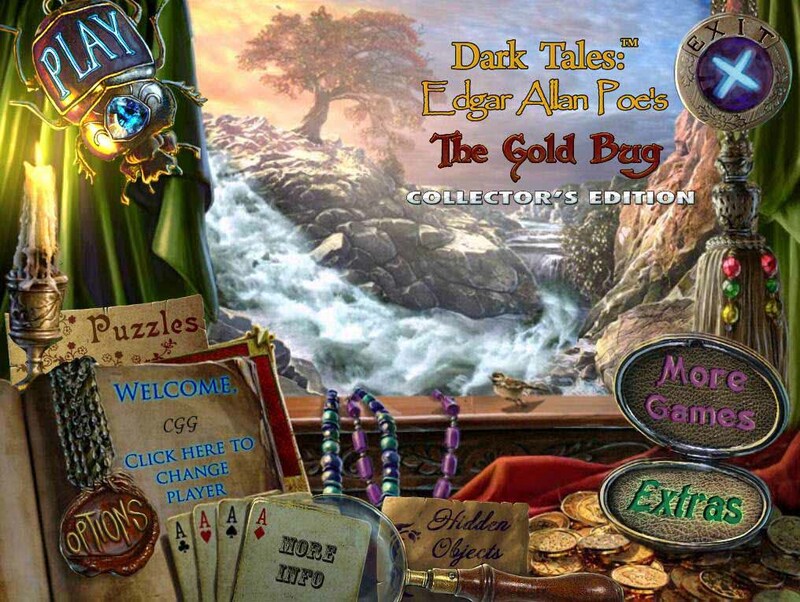 I recommend Dark Tales: Edgar Allan Poe’s The Gold Bug for those who appreciate a Hidden Object Adventure game with a pirate twist, but don’t mind a little poetic licenses taken with their literature.